Screenshots of MP3Resizer. 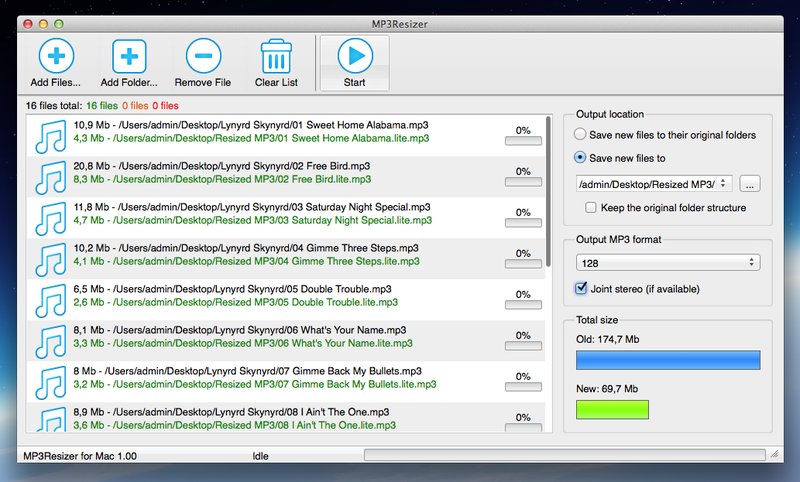 Make your MP3 files smaller! 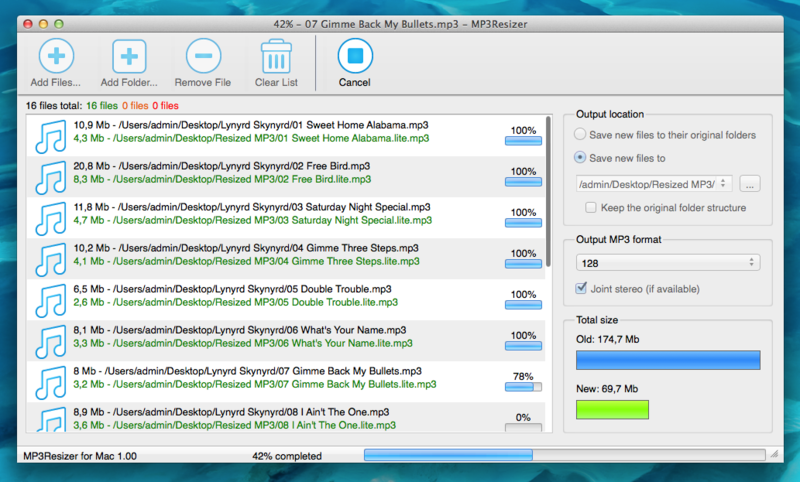 Compress your MP3 files.